(Nanowerk News) When a light wave penetrates a material, it is usually changed drastically. Scattering and diffraction leads to a superposition of waves, resulting in a complicated pattern of darker and brighter light spots inside the material. In specially tailored high-tech materials, which can locally amplify or absorb light, such effects can be completely suppressed. Calculations at TU Wien (Vienna University of Technology) have now shown that these materials allow new kinds of light waves, which have the same intensity everywhere inside the material, as if there was no wave interference at all (Nature Communications, "Constant-intensity waves and their modulation instability in non-Hermitian potentials"). Due to their unusual properties, these new solutions of the wave equation could be useful for technological applications. 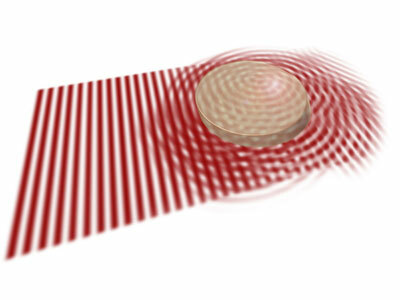 A wave penetrates a material: usually this leads to wave interference, to darker and brighter areas. When a light wave travels through free space, its intensity can be the same everywhere. But as soon as it hits an obstacle, the wave is diffracted. At some points in space, the wave becomes brighter, in other places it becomes darker than it would have been without hitting the object. This is the reason we can see objects that do not emit light by themselves. Konstantinos Makris and Stefan Rotter from TU Wien, together with Ziad Musslimani and Demetrios Christodoulides from Florida (USA), discovered that this alternative description allows new kinds of solutions for the wave equation. Specially designed non-hermitian materials remain completely unperturbed. The new concept is reminiscent of so-called “meta-materials”, which have been created in recent years. 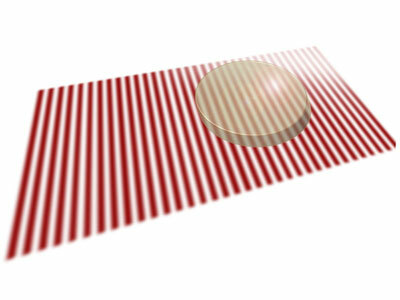 These materials have a special structure, which allows them to diffract light in unusual ways. In certain cases the structure can bend the light around the object, so that the object becomes invisible, much like Harry Potter’s invisibility cloak. In the end, the light wave is exactly as bright as it would have been without the object – at each and every point in space. Several technical problems still have to be solved until such materials can be routinely fabricated, but scientists are already working on that. The theoretical work now published, however, shows that besides meta-materials there is another, extremely promising way to manipulate waves in unconventional ways. “With our work we have opened a door, behind which we expect to find a multitude of exciting new insights”, says Konstantinos Makris.